21-year-old Saykal Zhumaliyeva from Bishkek is in no rush to get married. Fed up of constant pressure to become a wife at such a young age, earlier this month she parodied marriage in an Instagram video that shot her to internet fame. Known online as Sandra Brave, Zhumaliyeva filmed herself dancing to the Bee Gees' Stayin’ Alive against the backdrop of a yurt. 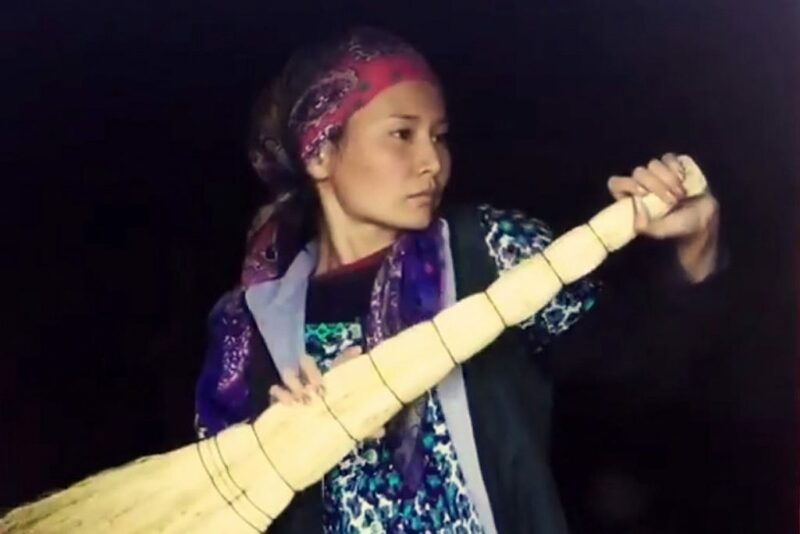 She makes innovative use of a broom as a dance prop and uses a meat bone as a microphone. “When I get asked about marriage, this is what comes into my head,” Zhumaliyeva described her video on Instagram. “I'm only 21, but for my society I'm ALREADY 21. According to our people, it's high time I married, otherwise in a couple of years I will be left an old maid. I turned my thoughts, feelings [...] into an improvised video, not only to make you laugh, but also think: is it necessary to drive ambitious, energetic girls into marriage? [...] Reading the comments, I understood that [...] a wife should only dance for her husband in the bedroom. When will we stop gagging our women?” she wrote on Instagram, following the huge popularity of the parody clip. According to Amnesty International, cited by Russian magazine Wonderzine, in Kyrgyzstan 13 per cent of girls get married before their 18th birthday. See more from Saykal Zhumaliyeva (aka Sandra Brave) here.